Fagrifoss was one of the attractive waterfalls that we really had to work for as it was situated more towards the remote interior highlands of Iceland. 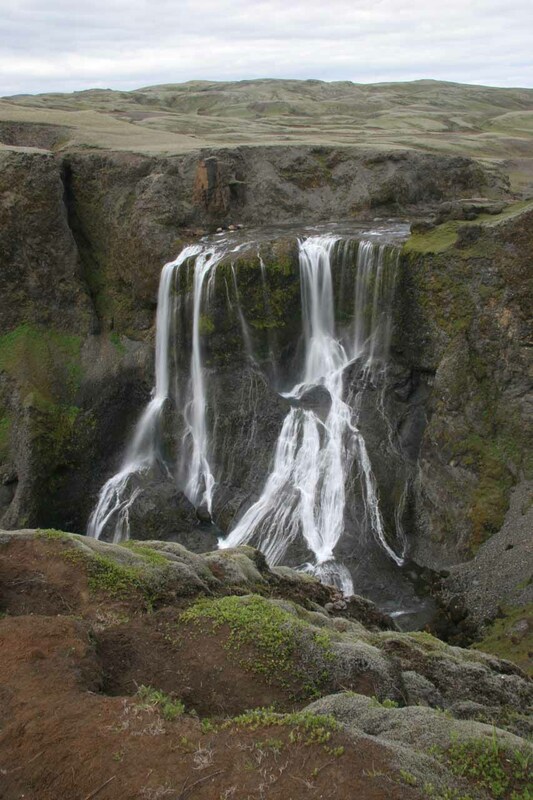 What made this waterfall attractive was its rounded brink and segmented plunge with its lower end slanting and giving the falling water more of a fan shape at its base. Adding to its scenic allure was how it contrasted with the rugged and desolate scenery the falls was nestled in. However, what Julie and I remembered most about this waterfall was the four-wheel drive adventure it took to even get here. In fact, most of the drama regarding the accessibility of this waterfall had to do with tackling the very rough and rugged 4wd road with a handful of river crossings. The physical exertion to reach the falls was practically negligible, and hence we gave it a “1” rating for difficulty. More details on the drive to get here are described in the directions below. Ultimately, the 4wd road would lead to the fissures and craters of Lakagígar (or Laki for short). 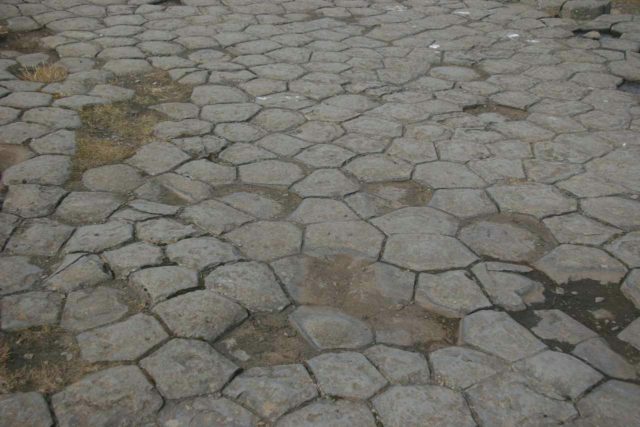 The significance of Laki was that its eruption in 1783 was one of the largest ever recorded during human history. 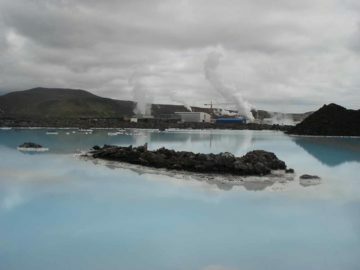 Its eruption lasted for 8 months, spewed toxic gas that resulted in mass deaths of livestock in Iceland, killed 20% of the Icelandic population, and affected the crop yields in Europe. 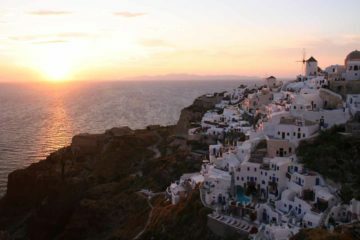 It was even speculated that this eruption might have caused agricultural hardships that sparked the French Revolution! 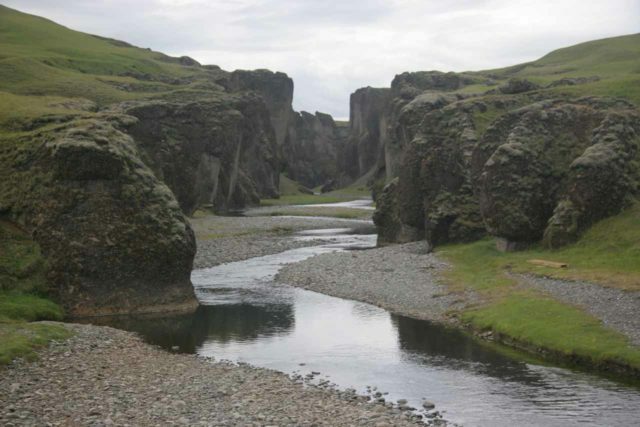 Unfortunately, we didn’t go past Fagrifoss so we didn’t get to see Laki for ourselves. 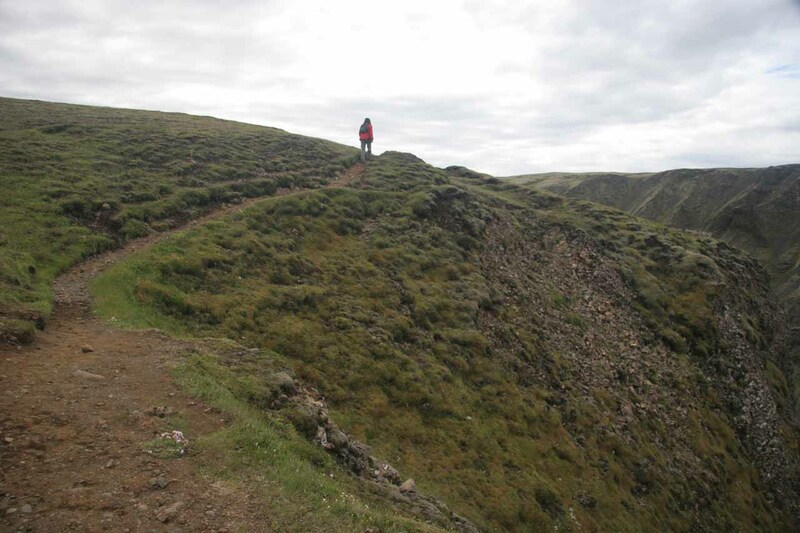 In any case, once we finally managed to leave the car at the trailhead, we then took a short walk along the cliffs and outcrops overlooking the waterfall and the steep gorge the river carved out. Perhaps the best view that we were able to get was on the way to the end rather than the end itself (see photo at the top of this page). That was because we couldn’t see the bottom of the falls from behind the short barriers at the official overlook. We would’ve had to go past the barriers and get dangerously close to the edge of the unstable cliffs to get the full view from there. 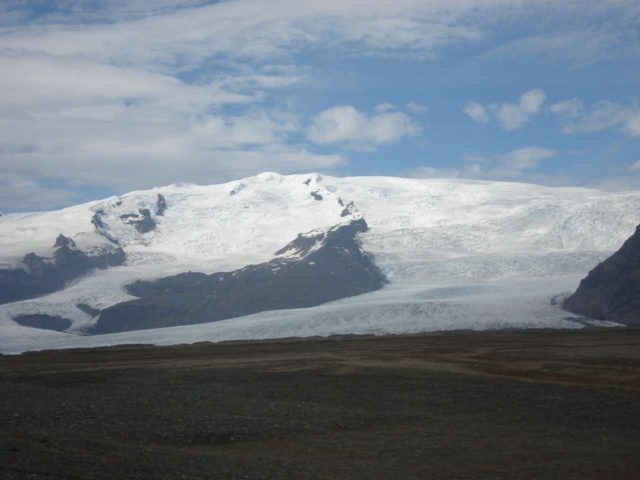 Recently, Lakagígar was absorbed into Vatnajökull National Park. 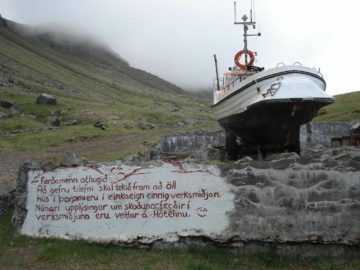 Previously, it was part of Skaftafell National Park though we weren’t aware of that during our 2007 visit. 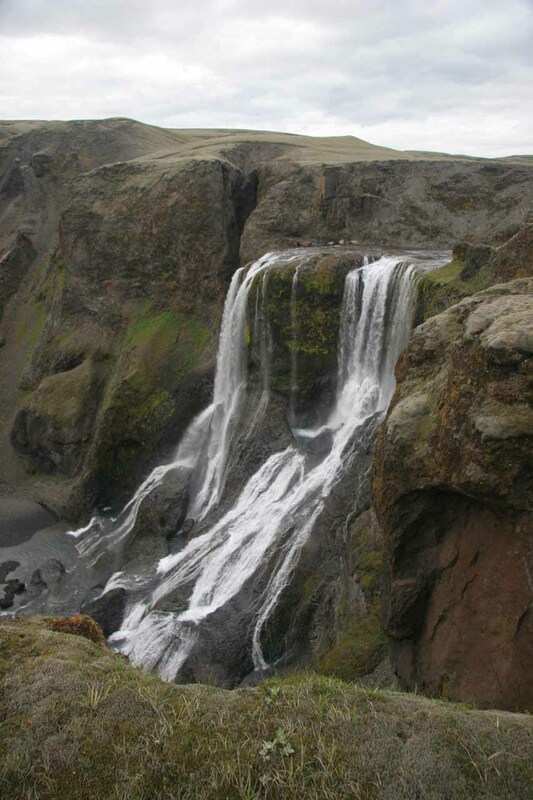 Finally, I looked up my Icelandic dictionary to learn what the name of the falls might mean, and I found the word “fagur”, which was an adjective meaning “beautiful”. So that could suggest that this waterfall’s name would translate into something meaning “Beautiful Falls”. 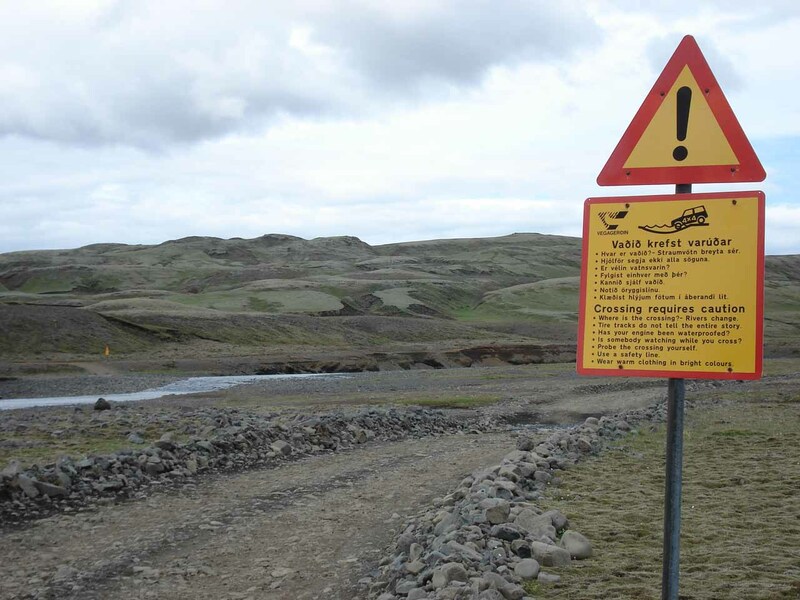 From Kirkjubæjarklaustur (259km east of Reykjavík), we headed southwest on the Ring Road for about 6km until there’s a well-signed turnoff for Laki on our right. 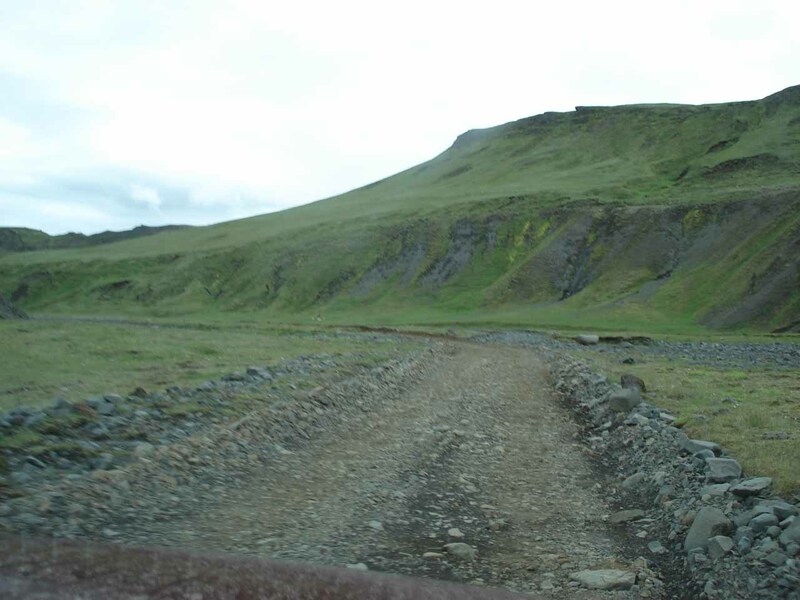 From there, we followed the signs and the road to Lakagígar (Lakavegur) for another 18km. 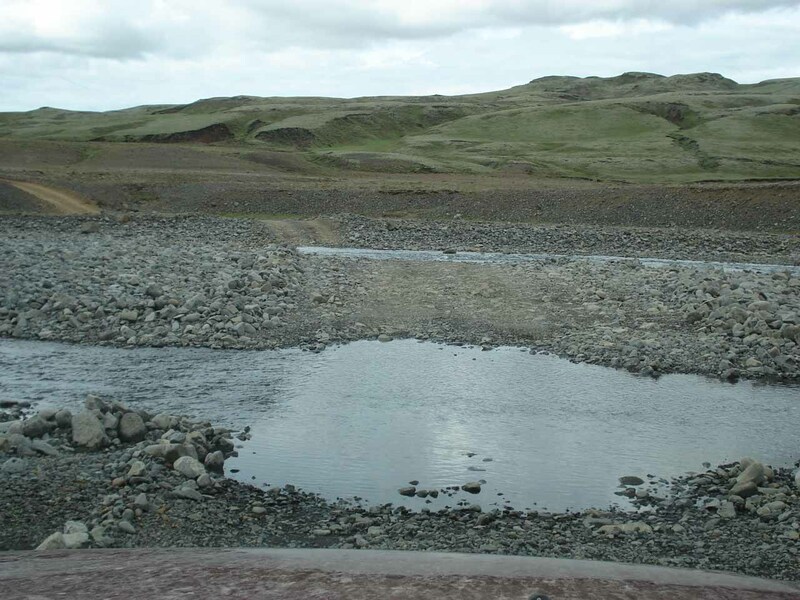 Lakavegur included at least two unbridged river crossings. 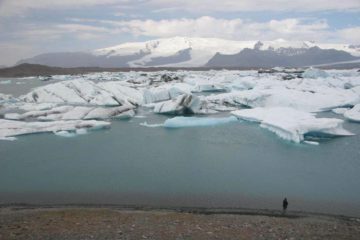 The first one was roughly 5km from the turnoff leaving the Ring Road. 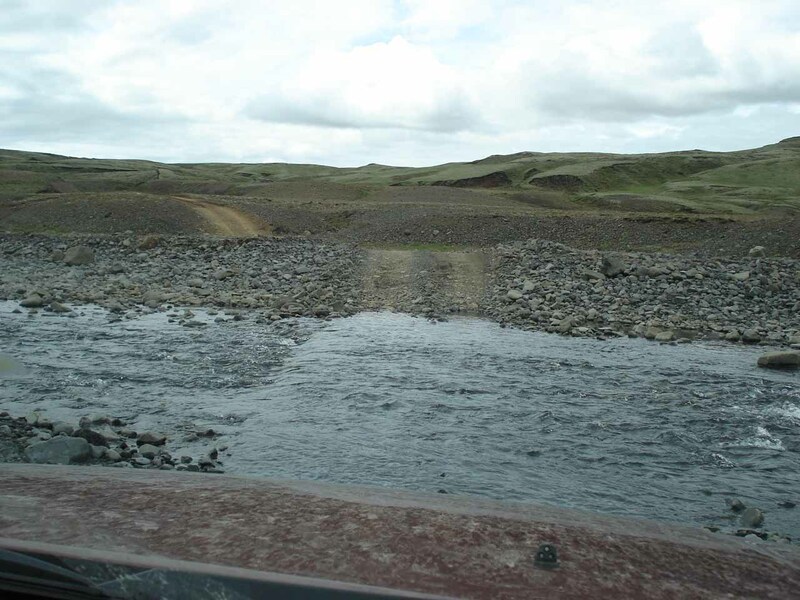 Not long after that crossing, we were driving along a very rough and bouldery riverbed that really tested the clearance of the SUV we were driving. 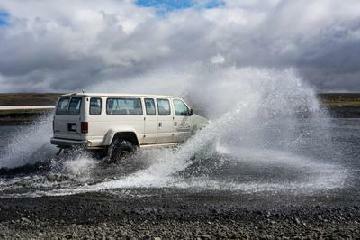 Low clearance 2wd passenger vehicles wouldn’t have a prayer making it through this section. 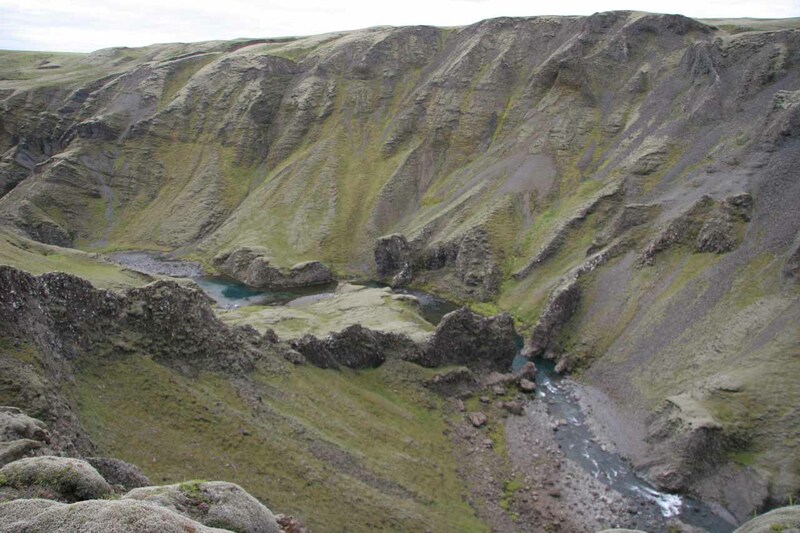 The second river crossing was actually a series of 3 or 4 segments of the river feeding Fagrifoss. 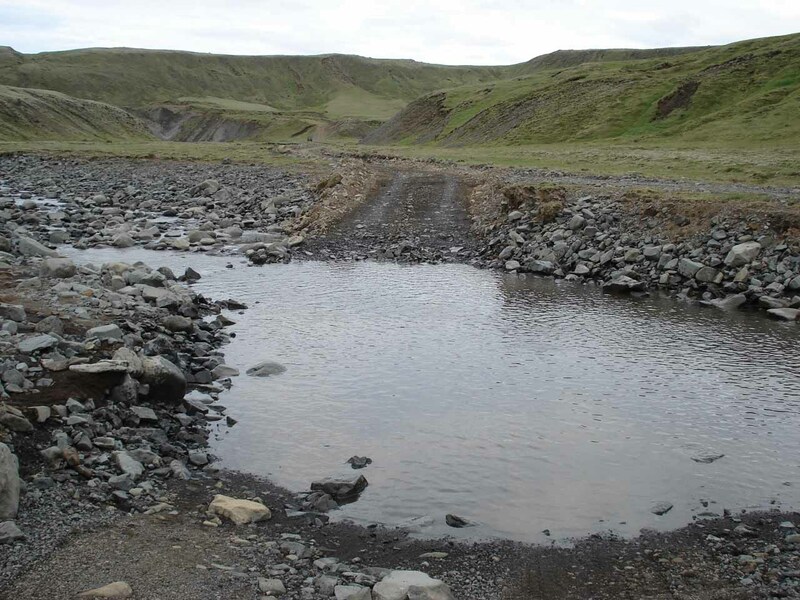 Only after making it across this much longer series of river crossings did we spot a spur road braching off Lakavegur towards the car park for the falls. Note that just downstream from that second river crossing was where the water went over the waterfall so you better make sure that the river can be safely crossed or else risk getting swept over the falls. 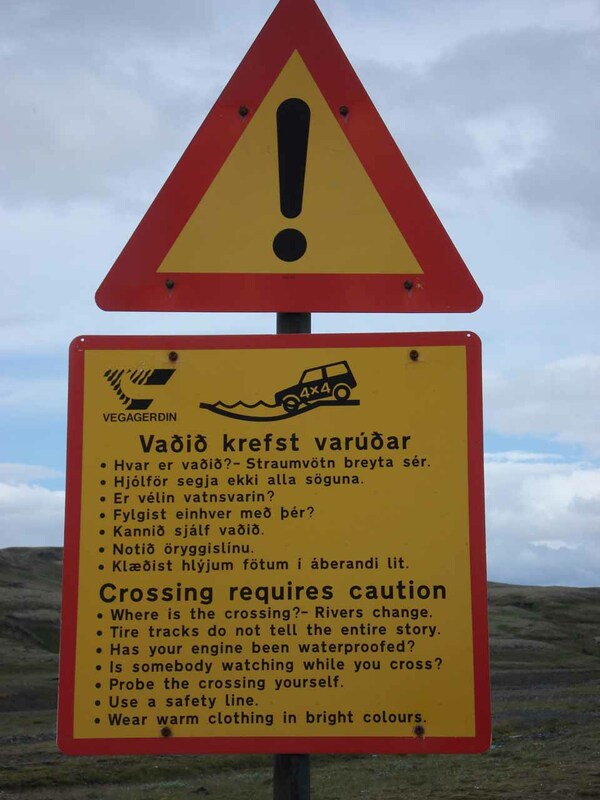 Because this excursion marked the very first time I ever did a major river crossing (unbridged) in a vehicle, I was hesitant to continue until an Icelandic local encouraged me and let me follow him. That was very nice of him. The time spent driving in each direction was a little over an hour. 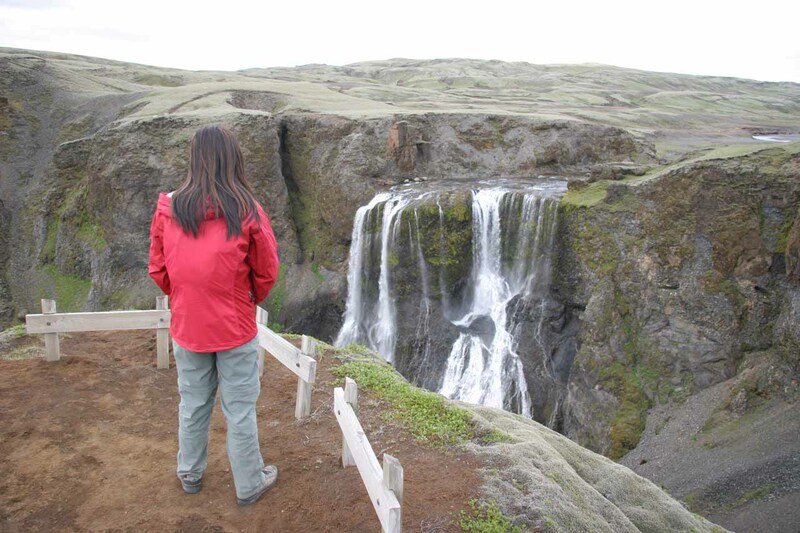 If all this seems like a lot of trouble to do on your own, there are day tours to Laki from Kirkjubæjarklaustur which includes a stop to this beautiful rivuleted waterfall. In hindsight, it might have been a better idea to do this because we also would’ve been able to visit Laki with the piece of mind of not having to worry about breaking down in the middle of nowhere. 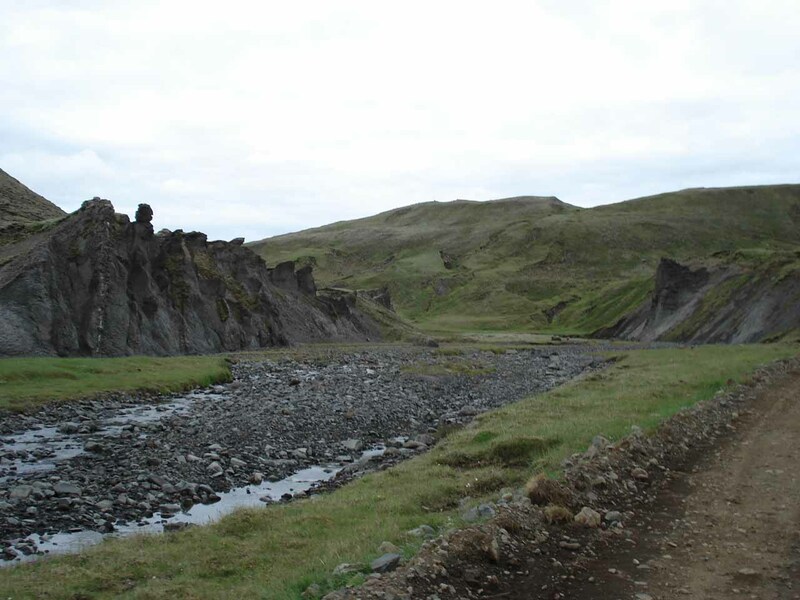 It’s worth noting that just under 2.5km on the Lakavegur from the Ring Road, there was a junction where going right would’ve continued on towards Fagrifoss and Lakagigar while going left would’ve gone to the chasm of Fjaðrargljúfur. The chasm was definitely worth a look.